and I decided it was time to write one myself. Well, this isn't a fashion post, but I really wanted to share this with you. 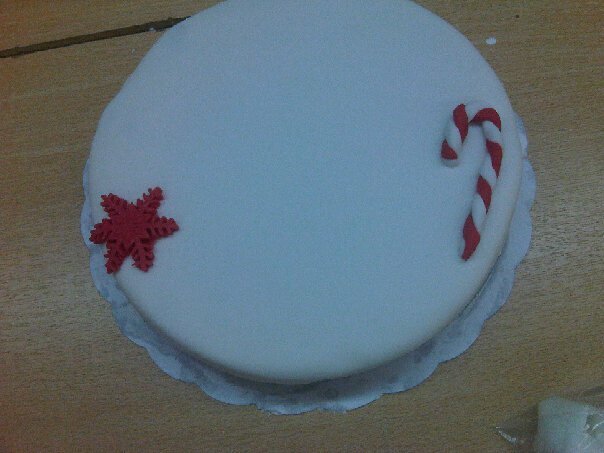 Yesterday, a friend and I went to a 'How To Decorate A Cake-class'. We had so much fun, I'm thinking to do this more often! Here's our cake in progress. The left part is mine, and the Christmas-part is my friend's part. Do you like the result??? P.P.S. : Don't forget to enter my Just Cavalli-give away HERE! so I decided it was the perfect opportunity to take out my Burberry-trench coat again. and I tried match my outfit with my purple Balenciaga. the Burberry-trench coat and Balenciaga-bag. Both aren't that cheap, but totally worth their money. I had to cut some pictures to make them better. I'm very proud to announce Shark Attack's first give away! you should know that I absolutely love big, chunky rings. That's why I decided to give this gorgeous Just Cavalli Black & Gold Ring. I have the same ring, and I absolutely love it. Would you like to join the give away? 1. Follow me with Google Friend Connect or Bloglovin'. 2. Become a fan of Shark Attack on Facebook. because I would like to give everyone an honest chance to compete. NAME, EMAIL ADDRESS and also TELL ME WHICH OF THE 3 OPTIONS you've chosen to do. The competition is open to readers of ALL NATIONALITIES! I'm still not ready to wear my winter clothes. which I've never worn before. I decided to wear it as a top, since it looked too much as a sleeping dress otherwise. I'm thinking to wear my crystal bra underneath, the next time. Judging by looking at the pictures, do I really need to say more? * The "I'm best friends with Anna Wintour"-thing. * Getting Christian Louboutin to name a pair of shoes after you, just because you liked them. I had left after Googling her. but I'll be having quite some free time soon. Very soon. Here's a quick outfit post I wanted to share with you. but took some time to snap some pictures. I decided to wear this colorful blouse I bought at Zara a while ago. In fact, I keep wearing these type of outfits until it really gets TOO cold. I don't even have a lot of winter clothes, something my mom forces me to buy every fall. I can still remember being at school last year. I had a 4-hour break, so I decided to check my emails. And then, all of the sudden, I started with Shark Attack, right there in the library. and also about the idea of starting one ourselves. since it has been an amazing year so far. Every comment brings a smile to my face, and really makes my day. because without you, I'd be nothing. I'm thinking about doing my first give away, but I'm still figuring out what I'd give you, guys. Here are some pictures of my favourite memories throughout the year. they show us their new collections, I can't agree more. collection, I just had to write another post. ballistic when I saw this collection, especially about the Bambi-pumps. What do you think about his designs? When I woke up this morning, there was a surprise waiting for me. this 'Alexander McQueen for Samsonite Black Label Boarding Bag'. I could also use it to store my laptop or books when I go to school, don't you think? Well, I am going to Paris from 11th November - 13th November, so it isn't that bad. 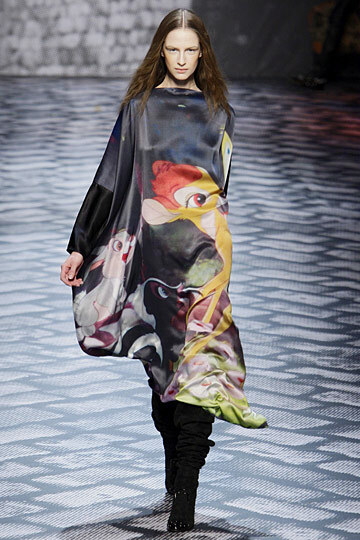 Too bad I couldn't make it there for Fashion Week. Restaurants, (vintage) shops, ... I'd love to know! I've been there with school once, but now I'll be able to go where I want. P.S. : You can follow me on Twitter by clicking HERE.